This is an amazing property. Beautiful home with large wrap around porch updated kitchen with granite and double ovens. Two story great room. 1st Master Bedroom with walk-in closet and large jetted tub. Double car detached carport has large storage room and game room above. 4 acre lot has private pond with gazebo. Barn with 3 stalls, tack room and large hayloft. Wired Chicken Coop. HVAC and Windows both replaced 5 years ago. 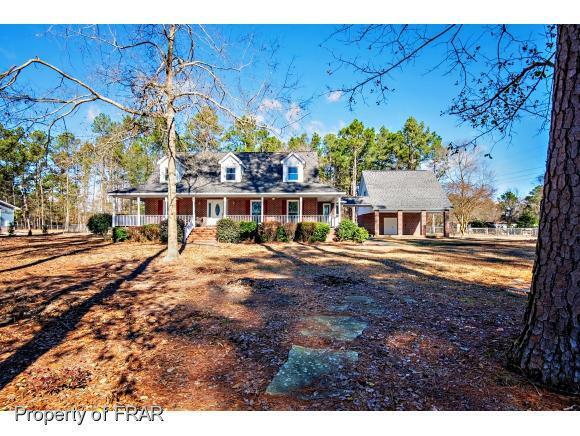 Beautiful 3 Bedroom, 2.5 Bath home on 4 acres with private pond, barn and chicken coop.